Pikka’s birds are off to a flying start! 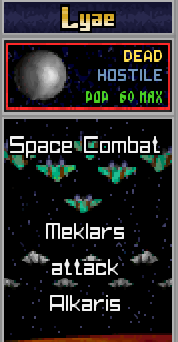 Pikka’s fledging empire is slowly growing: we have our homeworld, the sacred Lamuella, and three new colonies. And as our scouts send back reports of frozen fabulously rich in minerals, our scientists set to work on developing the technology necessary to fly there, and settle. 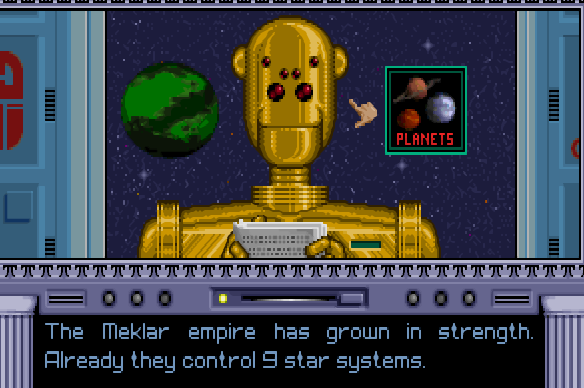 The Meklars are a race of robots and they are making a pretty bad first impression with me, swiftly seeing off the puny fighters orbiting my world. Time to put my economy on to a war footing. Or should that be war wing? War wing sure sounds better. Hyper V Rockets sound good! Very generous. I think the BC stands for billion credits. My new best friend. We have a non-aggression pact and everything. 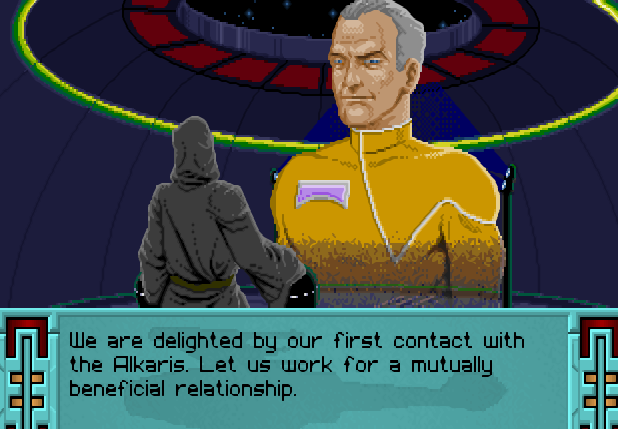 I also manage to make diplomatic combat with the Melkar, who are far less friendly. 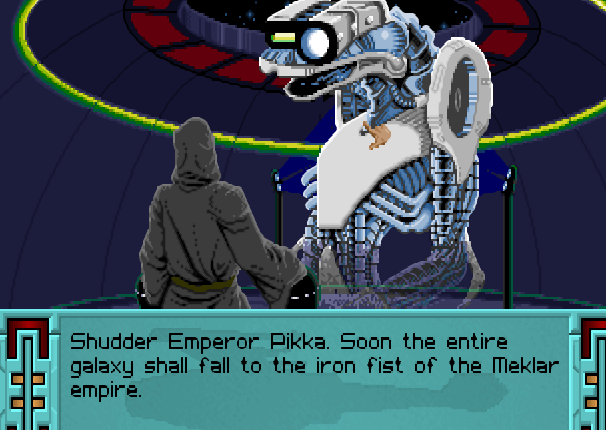 I figure the sooner I deal with the Melkar, the better. 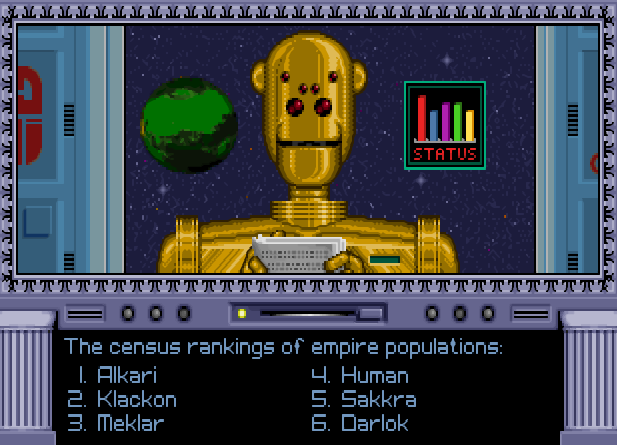 As precursor to my main attack, I send spies out throughout their empire to hopefully steal any advanced technology that might come in handy in the upcoming war. 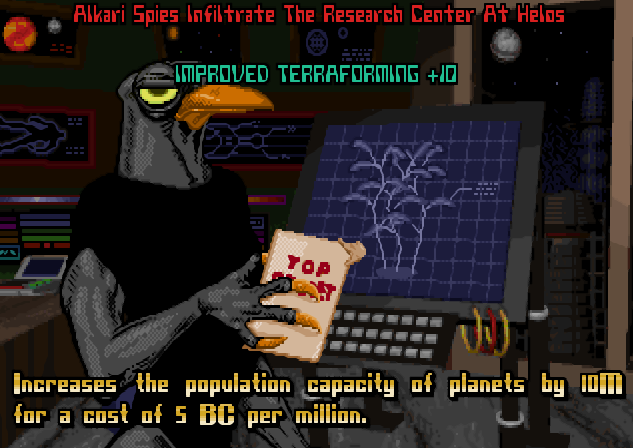 Sadly, the initial missions uncover terraforming technologies. While useful, they’re slightly less exciting than what I had in mind. The spies are promptly sent back out again, time this with instructions to look for nukes. Let me introduce you to my chief spy-master. As the border skirmishes gradually hot up, the spies start getting their act together and steal the trick to constructing Gatling lasers. 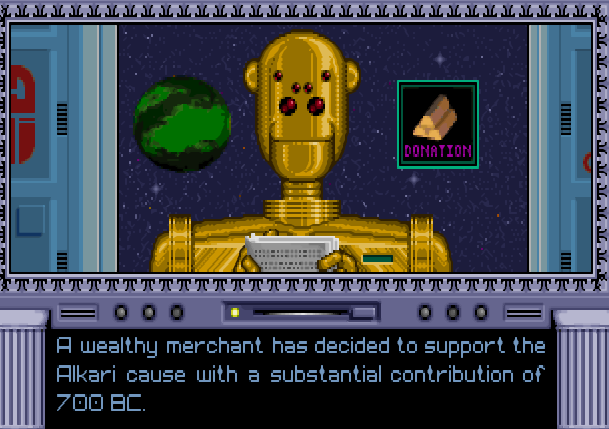 The diplomats are also doing a sterling job, as the alien humans have agreed to a trade treaty. 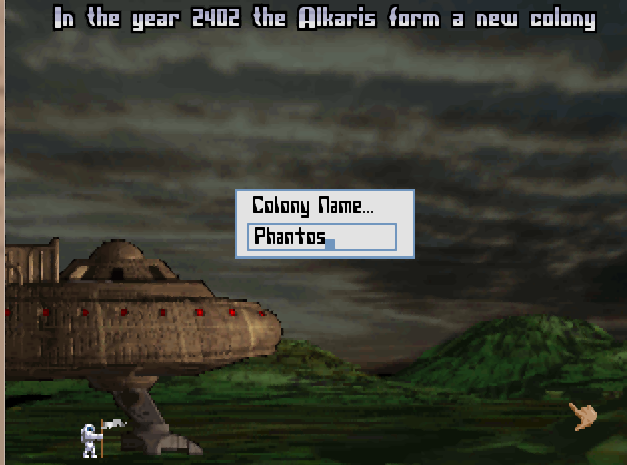 Our foreign policy involves keeping them happy, while building up the recently settled jungle world of Phantos. Which happens to be right on the edge of Malkar space. 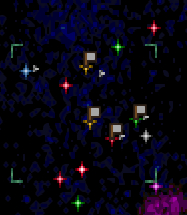 I feel a little sorry for the millions of unwilling colonists who are to be sent to this world. The fact that it’s a hellish jungle would be bad enough. But I fear that war is about to engulf this sector of the galaxy.